Shady Creek Ranch is nestled in the foothills of East Tennessee in Mosheim. The Ranch is close in proximity to Pigeon Forge, Knoxville and Asheville, NC. 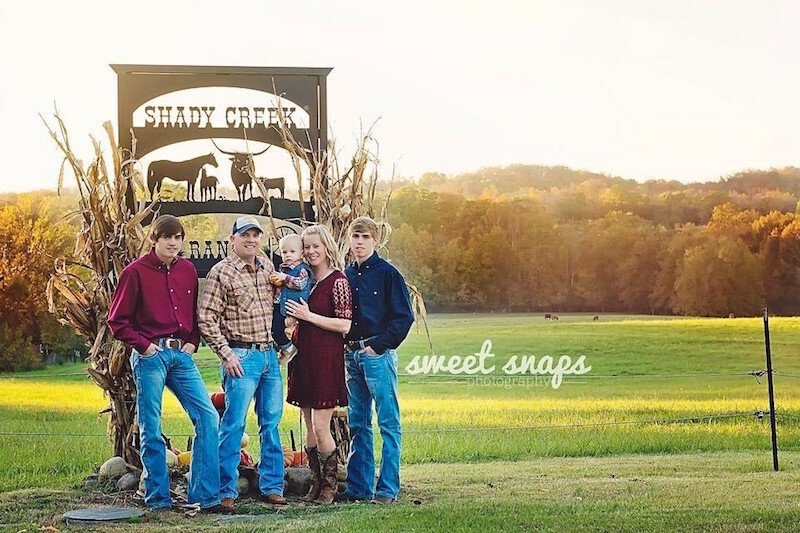 The crew that make up Shady Creek is Greg and Nicky Gilley along with their three boys Austin, Beaux and Grady. Greg started raising Longhorns in 1990 when he purchased a small herd of 18 cows from a neighbor of longtime breeder Dan Coates of Granbury, Texas. Greg’s first bull was an own son of Conquistador named Aces Lobo bought at the Louisiana Purchase in 1991. A lot has changed in the Longhorn business since then, but our love for the cattle is still the same. We are currently promoting a bull we own in partnership with Jimmy Jones. INVESTMENT. INVESTMENT has won the Tip to Tip Championship the last two years at the HORN SHOWCASE in Lawton, Oklahoma. Please stop by if you are in the area. We love to show and talk longhorns, and we continually have young bulls and heifers for sale at all times .